The spellbinding diary of a teenage girl who escapes persecution as a witch--only to face new intolerance in a Puritan settlement. Enter the world of young Mary Newbury, a world where simply being different can cost a person her life. Hidden until now in the pages of her diary, Mary's startling story begins in 1659, the year her beloved grandmother is hanged in the public s The spellbinding diary of a teenage girl who escapes persecution as a witch--only to face new intolerance in a Puritan settlement. Enter the world of young Mary Newbury, a world where simply being different can cost a person her life. Hidden until now in the pages of her diary, Mary's startling story begins in 1659, the year her beloved grandmother is hanged in the public square as a witch. Mary narrowly escapes a similar fate, only to face intolerance and new danger among the Puritans in the New World. How long can she hide her true identity? Will she ever find a place where her healing powers will not be feared? To ask other readers questions about Witch Child, please sign up. How dark is this book? What age group would you recommend it for? Hania its not to dark I read it when 12 or 13 and it was fine . it is defiantly a brilliant book. Wait so is this a real journal? Rebecca No, it's not. Though it is framed that way for the story, it's not an actual journal. The North American witch hunts of the 1600’s was a tumultuous and horrifying time in our history, particularly for women who were unable to conform to the norms of society. Witch Child is a diary of sorts that starts out with Mary, recounting the horrific and humiliating witch trial that her beloved old grandmother had to endure before her public execution in England. It follows Mary as she makes her journey to the New World where she realized that things are not much different than they were in The North American witch hunts of the 1600’s was a tumultuous and horrifying time in our history, particularly for women who were unable to conform to the norms of society. Witch Child is a diary of sorts that starts out with Mary, recounting the horrific and humiliating witch trial that her beloved old grandmother had to endure before her public execution in England. It follows Mary as she makes her journey to the New World where she realized that things are not much different than they were in England. Our protagonist, Mary, is a not only a terrified puritan girl wanting to avoid being accused of witchcraft. But, she is, in fact, a witch. Well, really more like a modern-day Pagan or Wiccan. But, still, considered a full-blown witch by their standards. The other thing that makes this book stand out from its contemporaries is that Rees has created a artful parallel between two cultures and thus a compelling statement about how laws, and opinions are highly influenced by society. In the woods near the city of Beulah, where Mary is living, there is a Native American people who strongly revere shamanism and second sight in their people. In stark contrast to their puritan neighbors who (as we all know) are sending many a young woman to the gallows for the same thing. I found this new spin on an old favorite topic compelling and engrossing despite the fact that some of the sub characters were a little flat and boring. If I had to choose just one word to describe Witch Child it would be Enchanting. Recommended for anyone who loves witch lore, Early American historical fiction, and/or Native American culture. 5 Words: Magic, conflict, superstition, new world. This is such a great book, and I've loved it for years. It's not a high-paced thriller and to be honest not much actually happens, but it is a great, pleasant read, and totally compelling. I love the various settings and all of the conflict which comes with them. This book flirts with fantasy but there's very little outright. It not in your face, it's subtle and quite tame. It comes across as very realistic and what magic is mentioned is rather vag 5 Words: Magic, conflict, superstition, new world. This book flirts with fantasy but there's very little outright. It not in your face, it's subtle and quite tame. It comes across as very realistic and what magic is mentioned is rather vague - it's more hedge-witchery and healing. For a young adult book this was very good. No patronizing "teenage girl" voice that you would find in "Twilight". I actually suggest getting a copy of the book on cd so you can hear the wonderful Jennifer Ehle (who played Elizabeth Bennett in the A&E version of Pride and Prejudice) reading the story. It is a light read. It is a little stereotypical, but then again, doesn't history pretty much point out that the Puritans were a bit stodgy and afraid of just about anything that couldn't be explained by the local pastor? In the end, I thought the book on cd was entertaining, especially as I worked on boring data entry. Nothing too heavy but not too light either. Didn't draw my attention away too much from my work, but kept me interested and going. Witch Child is a really good story, one about how people fear what they don't understand. It's bad enough that the main character's grandmother was hanged after she was accused of being a witch, but now Mary has to keep her own magical powers a secret, lest she be sent to death herself. 2.5 stars. A lot of potential and good writing style, but ultimately just another boring, archetypal historical fiction. When I was in my preteen stage, I went through a historical fiction stage, and I read countless books about witch hunts. Almost all of them share some major traits: a main character who is a misfit, usually because she's particularly unreligious, and a boring beginning. Unfortunately, this book doesn't break that mold. Rees breaks no boundaries with her sometimes-boring plotti 2.5 stars. A lot of potential and good writing style, but ultimately just another boring, archetypal historical fiction. Unfortunately, this book doesn't break that mold. Rees breaks no boundaries with her sometimes-boring plotting. Besides the unoriginality, this book fails due to bad plotting. Witch Child is far too drawn out. The first half was completely boring, and the author only manages to develop dramatic tension towards the end. This book was just as good as it was the first time I read it. Witch Child, by Celia Rees explores a very contradictory issue that existed in America for a vast amount of time. 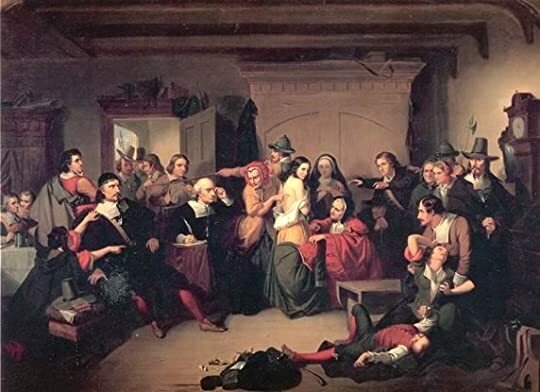 The Salem Witch trials are studied in classes to this day, and the events that took place still haunt many people. This novel does not focus directly or bluntly state the events of the Salem Witch Trials, but is obviously focused in that central time period. The setting of this novel is essential in the plot, which is something I do not regularly see in other texts. This unique focus Witch Child, by Celia Rees explores a very contradictory issue that existed in America for a vast amount of time. The Salem Witch trials are studied in classes to this day, and the events that took place still haunt many people. This novel does not focus directly or bluntly state the events of the Salem Witch Trials, but is obviously focused in that central time period. The setting of this novel is essential in the plot, which is something I do not regularly see in other texts. This unique focus on that specific literary element really intrigued me; I don't think this book would be the same if alternate literary devices had been demonstrated to portray the overall theme of hardships of witch craft. Additionally, the point of view of this novel played an essential role in portraying the message Rees intended. If the narrator of this novel hadn't been a witch suffering from the mistreatment and horrors surrounding her, the readers would not be subject to bias and might hold a different opinion on the events. This book was one of the most boring books I evEr read in my life. From cover to cover a bunch of nonsense. It was like any other book you would find in a book store. This book should not ever be handed out again. Thats all i have to say.BORING!! Recommends it for: Everyone Over 11 Who Love Powerful Characters, Magic, And Historical Fiction You Can't Put Down! Witch Child tells the story of a girl named Mary, whose grandmother was hanged for being a witch. She had to leave, before the townspeople turned on her as well. And so she was taken away from the only home she’s know by a mysterious woman she’s never met, Mary is sent to America for her own safety. But life aboard a ship of Puritans heading to the New World is just as dangerous as it was back home in England – maybe more so. Can she keep her secret? Or will she be discovered, and killed just as her grandmother was? I was captivated, and literally devoured Witch Child. It was an amazing, powerful story, and was also insanely addictive. Told from Mary’s point of view, it’s written in the form of a diary that was found sewn into the seams of a quilt. As I read, I felt like I had travelled back to the 1600s, and there were loads of little details that just made the history feel alive. Mary was a brilliant character, strong and brave. I loved her spirit, and found myself feeling everything she felt. Her voice was unique, and her emotions intense: she was an entirely believable character. The supporting characters were brilliant as well, and all very real. Jaybird, the Native American Indian boy; Martha, the Puritan who took Mary in; Reverend Johnson, the one who believes he’s a prophet of God, who I believe is really the evil one. There were so many amazing characters, and they all went together to form a brilliant, realistic world. The thing I liked most about this book was the history behind it. The witch trials both fascinate and horrify me, ever since I learnt about them at the very beginning of high school. It amazes me how narrow minded people can be, and how healers can be seen as “spawn of the Devil”. Did you know that at least 250,000 women were killed, and in some villages were left with no women at all? (I’d just like to point out that I didn’t actually get that from the book, it’s just a weird piece of information that I’ve remembered, for some reason or another.) And the Native American Indian history and beliefs intrigued me too: how the settlers forced them out, their ideas on spirits, the way they live. I wouldn’t have thought that the two would go together so well, but they did, and I loved the way they did. Overall, Witch Child was a brilliantly written story with authentic, unique characters and an amazing plot. It was intense, addictive and ended with a horrible cliffhanger. Even though it’s written for 11+, I think everyone can enjoy the history in it! This was my favorite book to read this week. I don’t know why, it just was the story that engrossed me into the book. You all should read this book. It is kind of a cross between a documentary, thriller, and a love story. I believe our current students would extremely enjoy this book. With the popularity of vampires and Harry Potter, children will love the supernatural aspect of this book. Teachers will love the historical facts and situations interwoven into the story. The main character Mary N This was my favorite book to read this week. I don’t know why, it just was the story that engrossed me into the book. You all should read this book. It is kind of a cross between a documentary, thriller, and a love story. I believe our current students would extremely enjoy this book. With the popularity of vampires and Harry Potter, children will love the supernatural aspect of this book. Teachers will love the historical facts and situations interwoven into the story. The main character Mary Newbury, discovers she has supernatural powers. The text is written so eloquently, that it flows like hot butter. Mary has a grandmother who is hanged for being a witch. Mary is shipped off to the New World for safety reasons. Once there, she begins to keep a journal of her 18-month adventure in Salem, Massachusetts. This is definitely a coming of age story. Celia Rees the author leads the reader through the trials and tribulations of Mary’s life. The reader sees how she deals with each situation, revealing details about Mary’s true nature. Mary’s gift is what she calls “The Sight”. Through Rees’s writing, demonstrates the many variations of the word sight. Mary seems to be able to see into a person’s emotions. I also liked the fact that the book is a diary, but worked as a novel. The story is full of good research (as far as I can tell) of the time period of seventeenth century America. I liked the fact that dates and events coincided and made sense with the historical facts. Witch child is a great way to intertwine fiction and history. Smooth reading and an interesting plot will make this a great read for any child in middle school. I think it’s cool how the book ended. The fact that the dairy isn’t finished at the end made it seem very realistic. I thought it was unfair how even though she came to the New World, she was recognized as a witch still. She had no family in England (so she was lead to believe) and came so she could start a better life. The people in the new world hated witches more than in England, thus making Mary have to be very careful. I didn’t understand why the other girls in town hated Mary so much. They watched her and blackmailed her, just to get what they wanted. Im glad Mary refused though. In the end when the girls said that Mary possessed them and when they tried to make it seem like she left the “witch items” in the forest was very insane. I really hope Mary went of with the Indians, they really liked her and I know she could have adapted there. Se avete una nipote, un nipote, un cugino, il figlio di amici di famiglia, la sorellina e volete regalare un libro, eccolo qua, servito su un piatto d'argento, 'Il viaggio della strega bambina'. Semplice, ma non banale, ambientato nella America del 1600 invasa dai nuovi coloni puritani che, partendo giudicati dall'Inghilterra, arrivano nel Nuovo Mondo pronti a giudicare a loro volta, un nuovo mondo di indigeni, ma anche il loro stesso sangue, accusandolo di stregoneria. Un libro sui pregiudizi, su Se avete una nipote, un nipote, un cugino, il figlio di amici di famiglia, la sorellina e volete regalare un libro, eccolo qua, servito su un piatto d'argento, 'Il viaggio della strega bambina'. I don't think I was really in the mood for this. It's a fairly straightforward historical fiction, with a fairly standard frame story of a found diary type deal. It's very easy to read; definitely aimed at young adults, if not at kids. Probably that's part of it -- it was so easy there was nothing to hold onto. The set-up is interesting enough, and for what it is, it's well-written, but there wasn't enough substance for me. Despite the very mixed reviews on Goodreads, I found this book gripping, entertaining anda real page turner. Firstly, I was immediately drawn in by the cover. 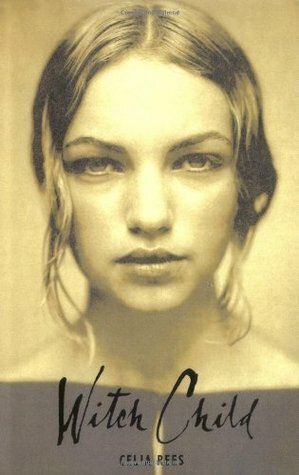 Usually I prefer books with illustrated covers, but I found that the photograph on this and the sepia tones really reflect the feel and atmostphere of the book. With regards to the premise and the style of writing, this book contains diary entries written by Mary, the granddaughter of a witch, around 1659-1660. It is regarded as a children Despite the very mixed reviews on Goodreads, I found this book gripping, entertaining anda real page turner. Firstly, I was immediately drawn in by the cover. Usually I prefer books with illustrated covers, but I found that the photograph on this and the sepia tones really reflect the feel and atmostphere of the book. With regards to the premise and the style of writing, this book contains diary entries written by Mary, the granddaughter of a witch, around 1659-1660. It is regarded as a children's book, being shortlisted for the Guardian Children's Fiction prize in 2001, but I think it would definitely be suitable for a teenage or even adult audience also. As this book is not a work of fiction, more passages from an irregularly kept diary dating back from the colonial period, more commonly known as 'the Mary papers', I found some of the chapters very emotional and thought-provoking, as I knew they were based on reality. This is a particularly compelling example of historical fiction. So compelling, in fact,that I think my students may well ask, "Is this real?" I have to continually explain that good fiction SHOULD convince you that "it" (the characters, the emotions, the storyline) is "real," but sometimes they find that concept confusing. Well, author Celia Rees does a terrific job of making you feel like a historian/anthropologist who has just discovered an amazing find: the diary of a young colonial girl whi This is a particularly compelling example of historical fiction. So compelling, in fact,that I think my students may well ask, "Is this real?" I have to continually explain that good fiction SHOULD convince you that "it" (the characters, the emotions, the storyline) is "real," but sometimes they find that concept confusing. Well, author Celia Rees does a terrific job of making you feel like a historian/anthropologist who has just discovered an amazing find: the diary of a young colonial girl which has been stitched into a quilt. Mary Newbury's story begins in Cromwellian England, and the action begins in the first chapter when Mary's grandmother is hanged for practising witchcraft. Mary is whisked away by a mysterious woman, and then given into the care of some Puritans who are sailing for the New World. Mary's grandmother has been a herbalist and healer, and Mary has learned -- and has need to practise -- some of these healing skills. Before long, though, whispers that she is a witch begin to undermine her tentative place in this new community. When her grandmother is accused for sorcery, Mary has to flee immediately. With the help of a mysterious woman, she is able to get on a boat that is leaving the continent for the New World. Living within a puritan settlement, Mary is however once again the target of hatred and persecution. Will her friends be able to protect her? I have always been intersted in reading about the persecution of whiches and sorceres as one of the darkest chapters in human history and I remember that I e 3.5 stars! I have always been intersted in reading about the persecution of whiches and sorceres as one of the darkest chapters in human history and I remember that I enjoyed reading this book a lot as a teenager. Mary is an intriguing character and I desperately wanted to know all about her. Unfortunately, the story is focusing a lot on her travel over sea and on the settlement of the group of puritans. When the story is suddenly getting suspenseful, I had the feeling that the author rushed a little through it and the ending came much too fast! One of the things I was really looking forward to about this vacation is all the time in the car to read. Humph! I didn't bring a single book that I wanted to read. No kidding. At the time I packed, I was tired and I grabbed really light reading. When it came time to read, I really wanted a story, you know? Instead, I read all my magazines and bought more. One of the things Jeffrey and I always do in a new city is go to the art museum and seek out good used bookstores. I found this one at Bards One of the things I was really looking forward to about this vacation is all the time in the car to read. Humph! I didn't bring a single book that I wanted to read. No kidding. At the time I packed, I was tired and I grabbed really light reading. When it came time to read, I really wanted a story, you know? Instead, I read all my magazines and bought more. One of the things Jeffrey and I always do in a new city is go to the art museum and seek out good used bookstores. I found this one at Bards Books in Phoenix. It is kind of fun because it's a copy actually printed in Britain and the price is listed in pounds. I read this all the way through yesterday - couldn't put it down. SO GOOD!! E' che mi son fatta delle domande e mi sono data delle risposte quando ho finito di leggerlo. - E ti è piaciuto? - E' una scrittura un po' ridondante, capisco che ha a che fare con il periodo in cui è ambientato, metà del 1600 tra l'inghilterra e l'america, la caccia alle streghe, gli indiani, però ho fatto fatica. - A te piacciono le streghe. - Ma questo libro no? - Nemmeno un personaggio ti è piaciuto? - Bha, li ho trovati un po' stereotipati, ma non sono costruiti male, sono riuscita a vederli e a sentirli. - Vabbè, può succedere di leggere un libro e non trovarlo bello. - Ne scegli un altro? It’s strange to read a book about witches, where the main character is a witch, and to only ever see magic twice (one of those times being 90% through the book). Witch Child is solidly in the historical genre, and only mildly in paranormal, so if you’re looking for a story about witches, this ain’t it. The only reason someone would ever want to read the journal of a witch is if there was mention of witchcraft or some cool sorceries. Mary’s journal though, is mostly about her migration to America It’s strange to read a book about witches, where the main character is a witch, and to only ever see magic twice (one of those times being 90% through the book). The only reason someone would ever want to read the journal of a witch is if there was mention of witchcraft or some cool sorceries. Mary’s journal though, is mostly about her migration to America and settling in a Puritan settlement. I might’ve actually liked the book more if it was classified as historical fiction instead of historical paranormal. I was kind of angry about this book though. You don’t get to use the format of a journal, but then include conversations and dialogue as if it were in the present. Were she writing a diary, she’d write them in past tense, at the very least. I found the structure of the novel confusing and unrealistic. This review has been hidden because it contains spoilers. To view it, click here. In genere inizio le recensioni con una piccola citazione. Questa volta, però, non ho sottolineato niente. Non perché il libro non abbia note di merito, ma perché non è il frutto di una penna che scava nel groviglio della realtà districandone i nodi. Non è uno di quei libri in cui il lettore si ritrova ad annuire convinto e sente di potersi quasi specchiare sulla superficie della pagina. E' un libro che scorre tra le dita come un rosario di avvenimenti: grano dopo grano, evento dopo evento, si ar In genere inizio le recensioni con una piccola citazione. Questa volta, però, non ho sottolineato niente. Non perché il libro non abbia note di merito, ma perché non è il frutto di una penna che scava nel groviglio della realtà districandone i nodi. Non è uno di quei libri in cui il lettore si ritrova ad annuire convinto e sente di potersi quasi specchiare sulla superficie della pagina. E' un libro che scorre tra le dita come un rosario di avvenimenti: grano dopo grano, evento dopo evento, si arriva alla fine del circolo, si aprono gli occhi e tutto è terminato. E' la metà del 1600. La narratrice (e protagonista) è Mary, ragazzina inglese costretta a fuggire dall'Inghilterra a causa dell'accusa di stregoneria che ha trascinato sulla forca sua nonna materna e, per logica consequenzialità, ora dirige il suo naso sospettoso contro di lei. La destinazione è il Nuovo Mondo, unica speranza per chi come Mary deve abbandonare in fretta un'identità scomoda per poter sopravvivere. I suoi compagni di viaggio sono paradossalmente esponenti della stessa religione che ha rovinato la sua vita: la dittatura di Cromwell è agli sgoccioli, e il figlio del re assassinato dai puritani tornerà nel paese da un momento all'altro. La vita si preannuncia dura per i puritani che restano, soprattutto per gli Anziani che si resero complici dell'assassinio del re, considerato dai più come un sacrilegio. La stessa nave accoglie vittime e carnefici, desiderosi di riscatto e salvezza. Al momento dell'arrivo, però, la comunione dei desideri dei viaggiatori si incrina e si declina negli stessi meccanismi sociali di ostracismo e isolamento che hanno reso tanto famosi i puritani da un lato e dall'altro dell'Oceano. I personaggi sono dipinti in modo frettoloso. La stessa protagonista è appena abbozzata, e alcuni elementi del suo racconto stonano nella lettura. Mary è una figura costruita per essere moderna: conosce le erbe mediche, riesce a distinguere le chiacchiere da comari e la superstizione dalla verità. Però vede nell'agire delle quattro ragazzine perfide del villaggio l'orma della stregoneria, e non lo fa per modo di dire. Potrebbe essere un simbolo per indicare che la vera stregoneria sta nella cattiveria umana, ma Mary quando la sua amica ha le doglie prima del tempo osserva con sospetto la ragazzina che stritola tra le mani la sua bambola come nei riti voodoo. Perché ciò che non vale per un personaggio deve valere per l'altro, solo perché è uno degli anti-eroi? Insomma, si predica la liberazione dalla superstizione per tingere le pagine della stessa superstizione. La figura della madre, poi, figura di passaggio nella prima parte, riemerge a tratti nella narrazione senza alcun nesso logico. Mary ha il potere della divinazione, riesce a vedere il futuro e il passato (anche se lo fa una volta sola). La nonna era un'esperta di erbe mediche e praticava la divinazione attraverso la classica interpretazione delle foglie galleggianti in un bicchiere d'acqua (in tutte le sue varianti). La logica porterebbe a pensare che sia un dono ereditato dalla nonna, ma lei è sicura: "Questo viene da mia madre, che è più potente". Ottima conclusione, ma perché? Il lettore vorrebbe sapere qualcosa di più, su cosa basi questa convinzione, dato che hai visto tua madre una volta e - con una rapidità strabiliante, potevamo non inventare il test del DNA - hai capito chi era grazie al colore dei suoi occhi? La frase che compare in copertina per spronare il lettore impaurito all'acquisto recita: "Un romanzo scritto con intelligenza, uno stile raffinato, un ritmo incalzante, ricostruisce magistralmente gli aspetti psicologici e storici della caccia alle streghe" (The Guardian). Ecco, magari il giornalista del Guardian dovrebbe tenersi la pallottola del "magistralmente" per prede migliori. Il succo del romanzo è: l'uomo è più propenso a vedere il male fuori da sé che nella propria testa. Anche nel momento in cui la sua ipocrisia diventa palpabile, la strada della ragione viene spesso abbandonata per la più comoda piazzola dell'accusa indiscriminata. E' quello che accade ai personaggi di questo romanzo che si rivolgono alle esperte di erbe per curare i propri cari. Il consulto viene venerato se risulta benefico, ma se la cura non sortisce i suoi effetti la colpa della malattia stessa frana sul curatore, seppellendolo. La parte che maggiormente ho apprezzato è stata quella relativa a Penna Azzurra. Mi è sembrato il personaggio disegnato con più precisione. I suoi movimenti silenziosi, la sua completa unione e commistione con la natura che gli permette di godere dei suoi frutti senza turbarne l'equilibrio. La libertà della ghiandaia si staglia nitidamente contro la rigidità dei cappelli alti come campanili sotto cui si rintanano i puritani, con la loro prepotenza nel scacciare le fedi altrui per imporre col pugno di ferro la loro versione della verità. Il mondo indigeno guerreggia ideologicamente con quello puritano anche per quanto riguarda la figura della donna: Aquila Bianca dà un nome a Mary associando il suo sguardo fiero a quello del lupo, lo stesso sguardo che la ragazza deve tenere basso nella vita in comunità per non attirare su di sé l'odio del potente reverendo Johnson. I love stories of historical witches, and I have an interest in 17C America, so I was like a pig in muck with this. (Picture that. Picture me, dressed in a pig suit, rolling in mud. You’re welcome.) I really enjoyed going on the journey with Mary. I also enjoyed the tough, no nonsense Martha. There are aspects of magical realism which ticks another huge yes please box for me. Give me more magical realism please! Om nom nom. There isn’t much more to say about this. It isn’t breaking any new ground and probably won’t leave a lasting impression on me. But, I enjoyed it nonetheless. I may read the sequel as I am interested to know what happens next. Un libro per ragazzi molto particolare, che, purtroppo, riesce a sopravvivere solo in parte alle aspettative che la trama così originale e differente crea, principalmente perché non si dimostra pienamente in grado di sviluppare in modo adatto tutti gli spunti narrativi che offre. Le premesse, quelle del viaggio di crescita e delle avventure di una giovane strega in un epoca storica fatta di persecuzioni e superstizioni, sono estremamente interessanti, così come, durante il proseguire della narra Un libro per ragazzi molto particolare, che, purtroppo, riesce a sopravvivere solo in parte alle aspettative che la trama così originale e differente crea, principalmente perché non si dimostra pienamente in grado di sviluppare in modo adatto tutti gli spunti narrativi che offre. Le premesse, quelle del viaggio di crescita e delle avventure di una giovane strega in un epoca storica fatta di persecuzioni e superstizioni, sono estremamente interessanti, così come, durante il proseguire della narrazione, tutti gli accenni che vengono fatti alla pratica magica, alla caccia alle streghe, alle tradizioni indiane quando la nostra protagonista raggiunge il Nuovo Mondo. Peccato, però, che i ritmi del romanzo siano mal calibrati: viene dato enorme spazio al viaggio, allo spostamento fisico della nostra strega bambina, tralasciando di sviluppare quei dettagli che potrebbero essere molto più avvincenti per chi legge. In generale, il libro ha un ritmo piuttosto lento e, anche se lo stile è comunque piacevole e si legge agevolmente, talvolta la narrazione risulta quasi noiosa, proprio perché spesso l'autrice si focalizza su momenti di poca importanza, deviando l'attenzione da quello che speravo fosse il focus dell'azione, ovvero il percorso di crescita, la magia, il contatto con gli indiani, le difficoltà. Specialmente per quanto riguarda la parte centrale, ho trovati molte delle annotazioni presenti superflue (salvabile solamente il discorso sul rapporto fra religione e quotidianità, che ho trovato nel complesso sembra ben trattato), mentre sono molto più interessanti la prima sezione e quella conclusiva, che ho trovato capaci di creare coinvolgimento, parlando di caccia alle streghe, fughe avvincenti, un buono sviluppo della protagonista, che però non viene mai portato fino in fondo. Mary è un personaggio con tutte le potenzialità per essere un bel modello di protagonista femminile, infatti, però non l'ho trovata sufficientemente approfondita, più concentrata a fare resoconti dettagliati di avvenimenti, tutto sommato, davvero di scarso interesse per lo sviluppo generale delle vicende. Plot: This is the story of Mary a British teenager living in the time of the restoration of the monarchy.After he grandmother is accuse of witchcraft who is sent to live in the American colony of Salem. Favourite Quote: 'If I had any power, any at all, I would destroy them all, right here and now. I would turn them into mass of fornicating toads. I would turn them into leprous blind newts and set them to eat themselves. I would cover their bodies with suppurating plague sores. I would curse them Plot: This is the story of Mary a British teenager living in the time of the restoration of the monarchy.After he grandmother is accuse of witchcraft who is sent to live in the American colony of Salem. What I liked: This is an incredibly quick read as it is written in short journal entries and the first 100 pages are in sections corresponding to the various journeys she makes on her way to America. The story was really interesting and I was really intrigued by a lot of the main characters. Particularly Mary and her mother The writing and the narrative voice felt very fitting for the character. What I didn't: There wasn't as much magic and witchcraft as I expected there to be, I also would have liked there to be more time spent talking about the Native American people in this novel. But I have a feeling both of these themes will be more prominent in the sequel. Although the first 100 pages is fast paced, the documentation of the journeys does get a little bit repetitive and I would have preferred to know more about Mary and her Grandmother's life in England. Who would I recommend this book to: Everyone who enjoys YA novels with a historical setting or are interested in Salem and the Puritans vs Witchcraft topic and the persecution of women during this time. I am Mary. I am a witch. This is the beginning of Mary Newbury journal in 1659. After watching the witch trial of her grandmother, Mary escapes the prejudice of England and sets sail for America. She joins unlikely companions, the puritans. We are aware that this is a dangerous decision, yet what other choice is there? Is she really a witch? Did she really live? These questions are for you to find out as you read her journal. This story reads very much like a journal would. There is not a lot of I am Mary. I am a witch. This is the beginning of Mary Newbury journal in 1659. After watching the witch trial of her grandmother, Mary escapes the prejudice of England and sets sail for America. She joins unlikely companions, the puritans. We are aware that this is a dangerous decision, yet what other choice is there? Is she really a witch? Did she really live? These questions are for you to find out as you read her journal. 2. I am opinionated. Not exactly a great point for women back then. 3. I read and write. It is not natural for a women to be educated. We should all be pious. 4. I love to dance. Didn't you know that we only dance when the devil has taken over our bodies. 5. I know how to swim. I would have failed the witch trial for sure. Well, they did tie your hands and feet together so I may have had a more difficult time swimming. 6. I don't like other people telling me what to do. 7. I like to wear pants, go out at night, wear bright clothes. 8. My husband loves the indians. Inghilterra, 1659. La giovane Mary assiste all'impiccagione per stregoneria della nonna Alice Nuttall. Subito dopo viene aiutata da una giovane e graziosa donna che organizza la sua partenza verso il Nuovo Mondo insieme a un gruppo di puritani in fuga dall'Inghilterra. Non aspettatevi un libro fantasy o horror sulle streghe. La stregoneria di cui parla Celia Rees è quella reale, per cui Galleggia! Non aspettatevi un libro fantasy o horror sulle streghe. La stregoneria di cui parla Celia Rees è quella reale, per cui molte donne vennero uccise. Molte di esse avevano l'unica colpa di essere guaritrici, o comunque donne che vivevano del proprio lavoro e conducevano una vita diverse dalle timorate mogli dei loro compaesani. Il viaggio della strega bambina è un libro femminista nel senso più bello del termine. L'autrice ci presenta una figura femminile ancora in fieri terribilmente segnata dall'uccisione della sola figura parentale di cui era a conoscenza. Mary è però una ragazza forte, e quando si rende conto che la sua unica speranza è il viaggio verso l'Inghilterra, travestita da puritana, fa di tutto per amalgamarsi al gruppo e crearsi una nuova vita. Initial reaction: 4.5. Damn close to a 5, actually. I may bump it up. Witch Child takes the form of a diary written by Mary Nuttal (claiming to be Mary Newbury). After her grandmother is killed for supposedly being a witch, Mary is sent to America to assume a new identity and sever all ties with her past, ties which may get her killed. She takes up with a colony of Puritans traveling to the New World, and soon finds a place among them. But she also finds herself t Initial reaction: 4.5. Damn close to a 5, actually. I may bump it up. I was caught up in this story from the very beginning. Setting aside the "convenient" aspects of the story (the fact that the dialogue is fairly modern, which is explained away, and the fact that she always just happens to have access to her diary and recalls events w/ complete clarity, etc), Mary's voice was always engaging, and she was completely relatable and her story is captivating. She is an admirable girl, raised to be strong and self-reliant, which is a dangerous thing to be as an English woman in the mid 1600s. She is smart and self-assured, a great role model for modern girls, but because independent women were seen as a threat, she lives in fear of the day that her world will crumble and the people around her turn on her. Although Mary never knew her parents, she lived happily in a cabin in the woods with her grandmother and pets. However, her grandmother was a healer, a trusted member of the community until only recently. Now, she's gone, and Mary is alone in the world, on the run from the witch hunters. A mysterious benefactor comes to Mary's aid, telling her that she must set sail for the American colonies with a tight knit community of Puritans. Even though Mary must be careful to hide her true nature from their religious zealotry, she does manage to find a few kindred spirits among their numbers, mainly Martha, who also has a healer's hand; Jonah, an apothecary; and Rebekah, the daughter of a prominent Elder. The journey is long, and Salem may not hold all the hope they'd wished for upon their arrival. When their band rejoins the others in their community who have gone before them, Mary finds herself an untrusted newcomer, and has to guard herself carefully from those who would not "suffer a witch to live." But how can she hide her talents when they're essential to life in this strange new land? And why does a mysterious jackrabbit appear to be following her? This book greatly exceeded my expectations! I was a tad bit worried that I was getting into a unrealistic young adult paranormal novel that was and filled to the brim with cheesy romance (not exactly my cup of tea.) That is not at all what this book is. This book was so subtle when it comes to witchcraft. The subject didn't come into focus until you really got to know the characters, especially Mary. I found this to be a very nice touch as it made the story seem more realistic rather than over the This book greatly exceeded my expectations! This book was so subtle when it comes to witchcraft. The subject didn't come into focus until you really got to know the characters, especially Mary. I found this to be a very nice touch as it made the story seem more realistic rather than over the top. It is very beautifully written. I have always enjoyed novels written in journal entries, and Celia Rees pulled it off magnificently! Many of the entries were so mellow, Mary writes about her travels for a large portion of the book, but the writing style was so lovely that it swept me along like poetry. The characters are quite fascinating, and the superstition and ignorance described in this book very realistic. It was very intriguing to read about a taboo from the view of someone that is the taboo themselves. She was born in 1949 in Solihull, West Midlands but now lives in Leamington Spa with her husband and teenage daughter. Rees attended University of Warwick and earned a degree in History of Politics. After university, she taught English in Coventry secondary schools for seventeen years, dur Celia Rees (born 1949) is an English author of children's literature, including some horror and fantasy books.